Irrelevant and extreme: two adjectives increasingly being used to describe Christians in the United States. Finding a way to navigate this new reality is the underlying motivation behind Good Faith, the latest book by David Kinnaman, the president of the research organization Barna Group, and Gabe Lyons, founder of Q Ideas. In their second writing project together (the first was 2007's unChristian), Kinnaman and Lyons outline the findings from Barna Group's latest research and use their insights to address some of the "thorny questions" inherent in conversations about controversial topics. In the book, Kinnaman and Lyons state that their goal is to help Christians understand the heart behind those views that challenge the Church and equip Christians to be loving toward those with whom they disagree while remaining true to those biblical beliefs that are at the heart of difficult conversations. 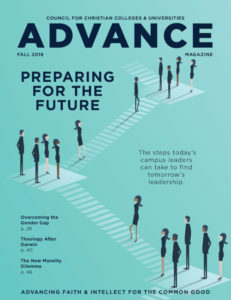 Rick Ostrander, CCCU vice president for academic affairs and professional programs, recently spoke with David Kinnaman about the specific role of Christian colleges and universities in this new reality. Rick Ostrander: You argue that Christians nowadays are perceived as irrelevant and extreme. Are Christians partially to blame for the situation we find ourselves in today? David Kinnaman: Yeah, certainly we are. I think a lot of [Gabe’s and my] work in unChristian and then [my book] You Lost Me, two books that we did over the last decade or so, really focused in on the fault that the Christian community has had in dealing with certain issues incorrectly. Jesus is just as concerned with our self-righteousness in the church as he is with the unrighteousness in the culture, and to the extent that the church has been focused on its own preservation, its own interests and its own moralism as a means of salvation for the broader culture, it has really gotten things wrong. Then on a conversational level, the church has really misunderstood the means by which life-change happens. We tend to think if we could just persuade somebody, hit them over the head with a great Bible verse, that’s going to do it. Culture is not changed in that manner. A lot of Christians have written about our cultural situation that we find ourselves in today. How do you see your book positioned in this growing literature among Christians in terms of how we deal with our culture? We wrote [the book] for a couple of different audiences – lay readers and the Christian community writ large. We also work with institutional leaders, and so there’s a sense that pastors, and Christian college and university presidents, staff, faculty, administration – we’re all in the vortex. In fact, I think Christian higher education is the forefront of a lot of the challenges that we are facing, because we’re interacting with a new generation, with a lot of their new sensibilities in terms of their spiritual compass shifting from an external to an internal source of authority. Your data would indicate that individual Christians, especially evangelicals, are considered extreme in our culture today, at least by a majority of Americans. Would you argue that Christian institutions are also perceived as extreme? Absolutely. That’s where the forefront of the challenge is – because of [institutional] policies. Institutionally, that’s part of the challenge: to lead an effective Christian organization, you have to find ways of creating policy and polity, and operate within a legal financial and social environment. It’s a radically transparent era where, through social media and other kinds of very public means, everyone has a window in on the decisions and discussions and points of view. That’s the challenge – Christian colleges and universities have so many different constituencies to whom they’re communicating, and that creates a great deal of tension of how to communicate a clear, convictional, loving, legally appropriate, theologically orthodox point of view on these things. Given that, how important is it that Christian institutions actively advocate for their religious freedom rights in the political arena? Should we focus more on doing our jobs well and winning the respect of our peers, or risk alienating others in the culture by advocating for our way of approaching higher education? Well, I think it’s both/and. We make the argument in the book that we should lead with love; that has to be our defining motivation. Jesus doesn’t need our institutions to train the next generation of leaders. It’s certainly the best way we have currently to do it, and I want to see Christian higher education thriving 100 years from now around the world, not just in North America. We need to be very appropriate in our cultivation of the spiritual fruit in our responses – that is, are we as individuals, as leaders, and as communities, being defined by love, joy, peace, patience, kindness, gentleness, self-control? That’s the first and most significant set of criteria about whatever success or effectiveness that we might be able to gain. But pursuing goodness, self control, and kindness in the world does not mean that we kowtow to the spirit of the age and to the larger pressures that are marshaling in all these different ways. We should be very wary – as most leaders within Christian higher education are – of the ominous and foreboding nature of these religious liberty discussions, and the place for convictional, theologically orthodox education of any type. Whether we’re evangelical, Muslim, Mormon, or Jewish, the notion of committing to a sacred set of documents that somehow guides human activity, belief and flourishing is a very countercultural notion. So it’s very important that we are careful in how we steward that at this moment. What higher education looks like in 100 years will be very much determined based on our level of courage in expressing our love for the world, our love for how we think about pedagogy, and other sorts of things. In your book, you point out that over half of Millennials do not believe the Bible to be authoritative. If that’s the next generation of the church, what can we do as Christian colleges to try to change that? Is there something we need to do differently to shore up Millennials’ faith and belief in the truth of Scripture? That’s a great question. In some ways, I’m more hopeful than ever about Millennials. There’s a certain humility, and a certain narcissism about this generation that’s both totally frustrating and infinitely refreshing. We need to keep a lot of the core convictions of our institutions. For example, if we’re doing certain Bible requirements, we should not replace those convictions or those practices. But what we’re seeing is that it’s not enough for us just to have [students] take certain Bible courses. I think the change of heart and mind that might be required for us is to expose students to certain seminar-type processes where we’re trying to persuade people of a certain point of view on Scripture. Millennials are waiting to be persuaded about how Scripture relates to various issues of life: finances, state, sexuality, marriage, relationships, global poverty, injustice. [We need] to give people a larger grid to work from. That includes understanding what the Bible’s telling us about who we are as humans, where we come from, what went wrong and how to fix it; how this applies to their calling, and their eventual work. We have to [give students] a strong vocational sensibility – if they’re in a program that relates to entrepreneurship or business, they’re learning how to create it to build abundance in the world. If they’re in a creative program – art, design, journalism, film – they’re [learning that they’re] created by God to bring beauty into the world. If they’re in a science-minded program or teaching or education, [they’re learning] that they’re created to bring order and to instruct and make the world a better, clearer place. We need to teach some of the wisdom literature like Ecclesiastes, Song of Songs, Lamentations. This generation is very ambitious, and they’re living in a very sexualized context. So we have to keep asking ourselves: How do the Scriptures relate to the world in which Millennials are living? Many of the programs that we’ve developed are good and ought to continue, but they’re a little divorced from the kind of world that Millennials are now living in. Therefore, [Millennials] conclude that Scriptures really aren’t anything other than something you study on Sunday morning and it just doesn’t really relate to the lives they they’re living today – which couldn’t be further from the truth. We’ve got to correct that. We need their help, actually. This can’t be just a bunch of older people that sit around and think about new programs. We actually need Millennials’ help in figuring out how Scripture could be taught and modeled, examined from a wide range of perspectives. Our students don’t come to us as blank slates. As you point out in your book, in fact, Millennials have already been culturally formed, generally speaking, to buy into secular notions of what the good life consists of. How do we, as Christian colleges, actually help un-train them or un-form them in order to form them more as biblical Christians in our culture? We need to acknowledge that that’s part of the work that has to be done – that we have to un-form or re-form some of the cultural notions that are now so deeply part not just of the Millennial Christian community, but the Christian community. For example, one of the significant trends in the research we’re doing for the Association for Biblical Higher Education around the needs of prospective students is the belief that college should be for career advancement, and earning potential, and jobs. That’s half-right, but it also misses some of the larger developmental opportunities that education provides. I think this idea of un-forming and re-forming students’ aspirations even around going to college is a very, very important piece. You talk about the role of the church in being a counter-cultural community in our society. Is there a role for Christian colleges to help Millennials become attached to local church communities, when most research indicates that Millennials tend to be anti-institutional? Helping create a new vision for why [students] need to be a part of the church is very critical. We need a clear vision for the rootedness that comes from being part of a church. We define prodigals, nomads, and exiles in our research as three different kinds of spiritual journeys that this generation takes. Each of them is spiritually homeless. This is a generation that is living, all of us, frankly, in what I call Digital Babylon. Being an exile is a very natural and important way of being faithful. That’s actually good. One way to put it is: How are our schools and colleges preparing people to be faithful in exile, in a new cultural context? We think that there are ways that could be expressed that are very powerful. How can our schools effectively help students be faithful in this new exilic context, like Daniel? That’s a critical question for those leaders within Christian higher education. 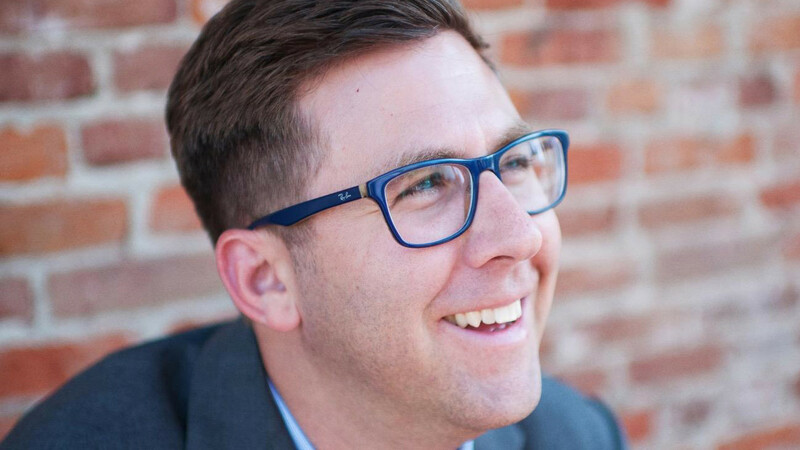 David Kinnaman is the president of Barna Group.